Both of these teams held a 4-2 record in the Last 32 of the Eurocup but this is a home arena that has already witnessed some big wins in the European environment this season. This means that Oldenburg may be keen to get out with a minor deficit for the second leg but this is certainly a game that can go either way depending on how well either team performs. Strasbourg will feel confident about this game. The fact that the French team has already defeated reigning Euroleague champions Real Madrid and Fenerbahce Istanbul, a team in a brilliant run of form, at home this season gives them the righty to feel confident at home. However, things have been tricky of late for the French side, losing two games in a row. One game that can turn that around though and there are signs that Strasbourg are still ticking along nicely with respect to Europe this season. The Germans will not be too concerned about playing away from home as they are 4-2 in their last 6 Eurocup away games. They’ll be looking to maintain their positive form away from home and go further in the tournament. This is the first time that Oldenburg have played in the Eurocup Last 16 but seeing as they are now here, they’ll be keen to continue their progress as far as they can. The Germans topped Group I of the Last 32 with an average of 82.3 points per game and if they maintain this form, they could place themselves into a healthy position for the return leg. 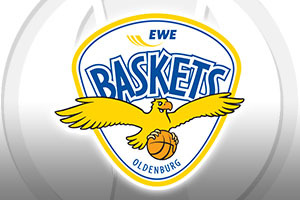 The bookies think the host team will take control of the tie but taking EWE Baskets Oldenburg at +5, which you can find at odds of 1.90 isn’t a bad bet. The Over/Under bet is on offer and you should look to go OVER 155.0 at odds of 1.90. Given the scoring record of both teams, we could see a lot of points on the scoreboard in this game. Bet Now!